Linköping, Sweden – March 20, 2019 – International medical imaging IT and cybersecurity company Sectra (STO: SECT B) has signed an enterprise imaging PACS contract with Centre d’Imagerie Médicale de l’Hôpital Privé d’Antony. 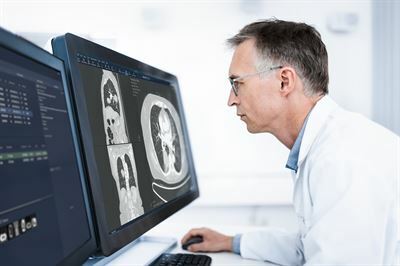 The Sectra software will offer radiologists and clinicians a high-availability solution with tools designed to boost radiology reading and reporting efficiency. “For us, it has been key to find a true partner for our imaging needs. Our own research clearly showed that Sectra’s customers, in France and in other countries, are very satisfied. We look forward to working with a vendor that focuses on customer needs and provides a stable solution known for its ease of use,” says Dr Grégoire Bornet, Director of Centre d’Imagerie Médicale de l’Hôpital Privé d’Antony. The contract, signed in February 2019, includes Sectra PACS for reviewing radiology images at Centre d’Imagerie Médicale de l’Hôpital Privé d’Antony. The Sectra solution will handle the approximately 170,000 examinations performed at the hospital every year. “This deal is an important step towards establishing Sectra as an enterprise imaging vendor in the French market. To me, it also shows that customers now need a vendor that is able to both provide global experience and be completely dedicated to the customer through a local presence and fundamental understanding of market requirements and customer needs,” says Fabien Lozach, President of Sectra France.